^ 1.0 1.1 1.2 Listing of acreage as of 12/31/2011 (PDF). Public Use Statistic Office, National Park Service. [2013-05-27]. ^ Five Year Annual Recreation Visits Report. Public Use Statistic Office, National Park Service. [2013-05-27]. ^ Yellowstone National Park. UNESCO World Heritage Centre. [2013-12-01]. （原始内容存档于2013-10-16）. 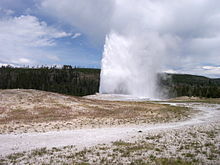 ^ Yellowstone, the First National Park. [2013-12-01]. （原始内容存档于2013-10-19）. ^ 5.0 5.1 U.S. Statutes at Large, Vol. 17, Chap. 24, pp. 32–33. "An Act to set apart a certain Tract of Land lying near the Head-waters of the Yellowstone River as a public Park.". The Evolution of the Conservation Movement. 1850–1920 collection. Library of Congress. [2013-12-01]. （原始内容存档于2013-06-24）. ^ Kotor, Srebarna and Yellowstone are withdrawn from the list of World Heritage in danger. UNESCO press release. 2005-07-05 [2013-12-01]. （原始内容存档于2012-10-13）. ^ 7.00 7.01 7.02 7.03 7.04 7.05 7.06 7.07 7.08 7.09 7.10 7.11 7.12 7.13 7.14 Yellowstone Fact Sheet. National Park Service. 2006-08-10 [2013-12-01]. （原始内容存档于2013-11-09）. ^ 8.0 8.1 Yellowstone, History and Culture. National Park Service. [2013-12-01]. （原始内容存档于2013-09-22）. ^ Questions About Yellowstone Volcanic History. United States Geological Survey, Yellowstone Volcano Observatory. [2013-12-01]. （原始内容存档于2013-11-05）. ^ Geothermal Features and How They Work. National Park Service. 2007-02-17 [2013-12-01]. （原始内容存档于2013-11-09）. ^ 11.0 11.1 Schullery, Paul. The Greater Yellowstone Ecosystem. Our Living Resources. U.S. Geological Survey. [2007-07-15]. （原始内容存档于2007-07-15）. ^ Macdonald, James S., Jr. History of Yellowstone as a Place Name. 2006-12-27 [2013-12-01]. （原始内容存档于2013-01-21）. 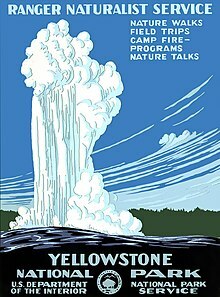 ^ Yellowstone: A Brief History of the Park (PDF). U.S. Department of the Interior. [2010-05-28]. （原始内容 (PDF)存档于2010-05-28）. ^ Lahren, Larry. Homeland: An archaeologist's view of Yellowstone Country's past. Cayuse Press. 2006: 161. ISBN 0-9789251-0-6. ^ 15.0 15.1 Janetski, Joel C. Indians in Yellowstone National Park. Salt Lake City, Utah: University of Utah Press. 1987. ISBN 0-87480-724-7. ^ Haines, Aubrey L. The Lewis and Clark Era (1805–1814). 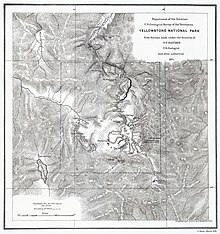 Yellowstone National Park: Its Exploration and Establishment. U.S. Department of the Interior. 2000 [2013-12-01]. （原始内容存档于2013-09-23）. ^ Haines, Aubrey L. The Fur Trade Era (1818–42). Yellowstone National Park: Its Exploration and Establishment. U.S. Department of the Interior. 2000 [2013-12-01]. （原始内容存档于2013-09-23）. 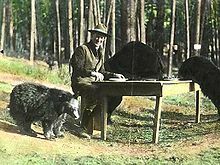 ^ Baldwin, Kenneth H. Enchanted Enclosure-Historic Roads in the National Park System-Chapter 2-The Raynolds Expedition of 1860. Historical Division, Office of the Chief Of Engineers, United States Army. 1976 [2013-12-01]. （原始内容存档于2012-10-23）. ^ Haines, Aubrey L. The Exploring Era (1851–63). Yellowstone National Park: Its Exploration and Establishment. U.S. Department of the Interior. 1975 [2013-12-01]. （原始内容存档于2013-09-23）. ^ Haines, Aubrey L. The Folsom Party (1869). Yellowstone National Park: Its Exploration and Establishment. U.S. Department of the Interior. 2000 [2013-12-01]. （原始内容存档于2013-09-23）. ^ Haines, Aubrey L. Cornelius Hedges. Yellowstone National Park: Its Exploration and Establishment. U.S. Department of the Interior. 2000 [2013-12-01]. （原始内容存档于2013-03-20）. ^ The Grand Canyon of the Yellowstone. American Studies at the University of Virginia. University of Virginia. [2013-12-01]. （原始内容存档于2013-10-01）. ^ History & Culture. General Grant National Memorial. National Park Service. 2006-07-25 [2013-12-01]. （原始内容存档于2013-09-23）. ^ 24.0 24.1 24.2 24.3 Marlene Deahl Merrill. Yellowstone and the Great West: Journals, Letters, and Images from the 1871 Hayden Expedition. U of Nebraska Press. 2003-09-01: 208 [2013-12-01]. ISBN 978-0-8032-8289-6. （原始内容存档于2014-01-03）. ^ Marlene Deahl Merrill. Yellowstone and the Great West: Journals, Letters, and Images from the 1871 Hayden Expedition. U of Nebraska Press. 2003-09-01: 210–211 [2013-12-01]. ISBN 978-0-8032-8289-6. （原始内容存档于2014-01-03）. ^ Chittenden, Hiram Martin. The Yellowstone National Park-Historical and Descriptive. Cincinnati: Stewart and Kidd Co. : 77–78. （原始内容存档于2013-06-06）. ^ Wheeler, Olin Dunbar. Enlarge Image Nathaniel Pitt Langford: The Vigilante, the Explorer, the Expounder and First Superintendent of the Yellowstone Park. Nabu Press. 2010. ISBN 9781177375504. ^ Dilsaver, Lary M.; Wyckoff, William. The Political Geography of National Parks. The Pacific Historical Review, Vol. 74, No. 2 (University of California Press). 2005-05: 237–266. ^ Wuerthner, George. The Conservation Land Trust Conflics. George Wuerthner's On the Range. NewWest. 2007-11-15 [2013-12-01]. （原始内容存档于2013-12-01）. ^ Report of the Superintendent of the Yellowstone National Park to the Secretary of the Interior for the year 1872. The Evolution of the Conservation Movement, 1850–1920. Library of Congress. [2013-12-01]. （原始内容存档于2017-01-15）. ^ Punke, Michael. Last Stand: George Bird Grinnell, the Battle to Save the Buffalo, and the Birth of the New West. Smithsonian Books. 2007: 102. ISBN 978-0-06-089782-6. ^ Yellowstone National Park's First 130 Years. Yellowstone History. National Park Service. [2013-12-01]. （原始内容存档于2013-11-09）. ^ 33.0 33.1 Rydell, Kiki Leigh; Shivers Culpin, Mary. The Administrations of Nathaniel Langford and Philetus Norris (PDF). 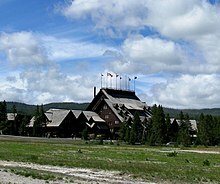 A History of Administrative Development in Yellowstone National Park, 1872–1965. Yellowstone National Park. 2006-07-05 [2011-09-30]. （原始内容 (PDF)存档于2011-09-30）. ^ 34.0 34.1 Griske, Michael. The Diaries of John Hunton. Heritage Books. 2005. ISBN 0-7884-3804-2. ^ Yellowstone National Park's First 130 Years. Yellowstone History. National Park Service. [2013-12-01]. （原始内容存档于2012-04-14）. ^ 37.0 37.1 Merchant, Carolyn. The Columbia Guide to American Environmental History. Columbia University Press. 2002: 148 [2013-12-01]. ISBN 978-0-231-11232-1. ^ 38.0 38.1 Chittenden, Hiram Martin. The Yellowstone National Park: historical and descriptive. The R. Clarke Company. 1895: 111–122 [2013-12-01]. OCLC 3015335. ^ 39.0 39.1 Duncan, Dayton; Burns, Ken. The National Parks: America's Best Idea. Alred A. Knopf. 2009: 37–38. ISBN 978-0-307-26896-9. ^ Nez Perce Creek. 美国地质局地理名称信息系统. ^ Rydell, Kiki Leigh; Shivers Culpin, Mary. The National Park Service in Yellowstone National Park 1917–1929 (PDF). A History of Administrative Development in Yellowstone National Park, 1872–1965. Yellowstone National Park. 2006-07-05 [2011-09-30]. （原始内容 (PDF)存档于2011-09-30）. ^ Yellowstone National Park's First 130 Years. Yellowstone History. National Park Service. [2013-05-27]. （原始内容存档于2012-04-14）. ^ Allaback, Sarah. Mission 66 Visitor Centers. U.S. Department of the Interior. 2000 [2013-05-27]. （原始内容存档于2001-04-19）. ^ Canyon Area NPS Visitor Facilities. U.S. Department of the Interior. 2006-08-22 [2013-05-23]. （原始内容存档于2007-05-05）. ^ 48.0 48.1 Largest Earthquake in Montana. Historic Earthquakes. U.S. Geological Survey. 2007-01-24 [2013-05-23]. （原始内容存档于2007-06-08）. ^ 50.0 50.1 50.2 Wildland Fire in Yellowstone. National Park Service. 2006-07-26 [2013-05-27]. （原始内容存档于2006-10-07）. ^ Patry, Marc; Bassett, Clare; Leclerq, Benedicte. The State of Conservation of World Heritage Forests (PDF). Proceedings of the 2nd World Heritage Forest Meeting. 2003-03-11 [2016-06-27]. （原始内容存档 (PDF)于2012-01-26）. ^ Yellowstone Quarter Introduced. United States Mint. （原始内容存档于2010-08-20）. ^ Heritage and Research Center. National Park Service. [2013-05-23]. （原始内容存档于2009-11-24）. 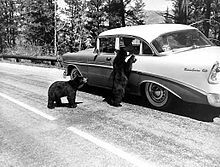 ^ Yellowstone National Park Archives. National Park Service. [2009-11-20]. （原始内容存档于2009-12-03）. ^ Affiliated Archives. National Archives. [2013-05-23]. （原始内容存档于2013-05-28）. ^ The Snake River Plain. U.S. Geological Survey. 2001-03-12 [2013-05-23]. （原始内容存档于2013-04-12）. ^ 57.0 57.1 57.2 Tracking Changes in Yellowstone's Restless Volcanic System. U.S. Geological Survey. 2006-01-19 [2013-05-27]. （原始内容存档于2007-02-06）. ^ 58.0 58.1 Volcanic History of the Yellowstone Plateau Volcanic Field. Yellowstone Volcano Observatory. U.S. Geological Survey. 2007-02-02 [2013-05-23]. （原始内容存档于2007-03-18）. ^ Bindeman, Ilya N. The Secrets of Supervolcanoes. Scientific American. June 2006 [2013-05-23]. （原始内容存档于2007-10-16）. ^ Questions About Future Volcanic Activity. Yellowstone Volcano Observatory. U.S. Geological Survey. 2007-02-02 [2013-05-23]. （原始内容存档于2012-01-18）. ^ Yellowstone National Park. World Heritage Sites. UNESCO World Heritage Centre. 2007-04-23 [2013-05-27]. （原始内容存档于2017-02-24）. ^ Information about the Yellowstone Volcano Observatory. Yellowstone Volcano Observatory. U.S. Geological Survey. 2007-02-02 [2013-05-27]. （原始内容存档于2008-05-14）. 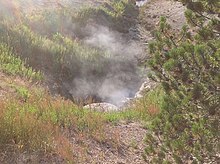 ^ Notable Changes in Thermal Activity at Norris Geyser Basin Provide Opportunity to Study Hydrothermal System. Yellowstone Volcano Observatory. U.S. Geological Survey. 2005-03-16 [2013-05-23]. （原始内容存档于2012-01-18）. ^ Frequently asked questions about recent findings at Yellowstone Lake. Yellowstone Volcano Observatory. U.S. Geological Survey. [2013-05-23]. （原始内容存档于2012-02-04）. ^ Archive of Stories About the Yellowstone Volcanic System. Yellowstone Volcano Observatory. U.S. Geological Survey. 2007-02-02 [2013-05-27]. （原始内容存档于2007-02-10）. ^ Earthquake Swarms at Yellowstone Continue. Inland Park News. 2008-12-19 [2013-05-27]. （原始内容存档于2013-05-20）. ^ Smith, Robert B.; Chang, Wu-Lung; Siegel, Lee. Yellowstone rising: Volcano inflating with molten rock at record rate. Press release, University of Utah Public Relations (EurekAlert! (American Association for the Advancement of Science)). 2007-11-08 [2013-05-27]. （原始内容存档于2007-11-15）. ^ Lowenstern, Jake. Truth, fiction and everything in between at Yellowstone. 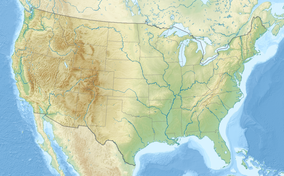 Geotimes (American Geologic Institute). June 2005 [2013-05-27]. ^ Hot spot: Yellowstone road melts, sites closed. Mead Gruver. 2014-07-11 [2015-10-27]. （原始内容存档于2015-06-21）. ^ More Than A Dozen Earthquakes Shake Yellowstone. KUTV News. 2007-05-06 [2013-05-27]. （原始内容存档于2007-05-26）. 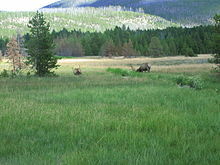 ^ Archive of Yellowstone Updates for 2008. Yellostone Volcanic Observatory. [2008-12-31]. （原始内容存档于2009-01-23）. ^ Yellowstone hit by swarm of earthquakes. Denver Post. 2010-01-18. （原始内容存档于2010-01-21）. ^ Latest Earthquakes – US » Yellowstone Region. United States Geological Survey. （原始内容存档于2013-05-02）. ^ Kendall, Katherine. Whitebark Pine. Our Living Resources. U.S. Geological Survey. [2013-05-27]. （原始内容存档于2006-09-27）. ^ Presence Of Wolves Allows Aspen Recovery In Yellowstone. [2013-05-27]. （原始内容存档于2007-10-01）. ^ Where Are the Bloomin' Wildflowers? (PDF). National Park Service. February 2004 [2013-05-27]. （原始内容存档 (PDF)于2007-06-16）. ^ Yellowstone Sand Verbena. Nature and Science. National Park Service. 2006-07-20 [2013-05-27]. （原始内容存档于2007-06-07）. ^ Microbes In Colorful Yellowstone Hot Springs Fueled By Hydrogen, CU-Boulder Researchers Say. University of Colorado at Boulder. 2005-01-24 [2013-05-27]. （原始内容存档于2013-04-26）. 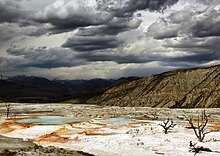 ^ The Yellowstone Thermophiles Conservation Project. World Foundation for Environment and Development. 2004-04-27 [2013-05-27]. （原始内容存档于2007-03-20）. ^ Exotic Vegetation Management in Yellowstone National Park (PDF). Nature and Science. National Park Service. 2006-02-01 [2013-05-27]. （原始内容存档 (PDF)于2007-06-12）. ^ 81.0 81.1 81.2 Brucellosis and Yellowstone Bison. Brucellosis. Animal and Plant Health Inspection Service. [2013-05-27]. （原始内容存档于2007-02-28）. ^ Frequently Asked Questions About Bison. Nature and Science. National Park Service. 2006-08-09 [2013-05-27]. （原始内容存档于2007-10-13）. ^ Prettyman, Brett. Moving Bison. Salt Lake Tribune. 2008-01-10 [2013-05-27]. （原始内容存档于2008-04-08）. ^ 84.0 84.1 Defenders of Wildlife. A Yellowstone Chronology. [2013-05-27]. （原始内容存档于2007-06-07）. ^ 85.0 85.1 Rocky Mountain Wolf Recovery 2005 Interagency Annual Report (PDF). U.S. 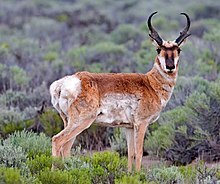 Fish and Wildlife Service, Nez Perce Tribe, National Park Service, Montana Fish, Wildlife & Parks, Idaho Fish and Game, and USDA Wildlife Services. 2006 [2013-05-27]. （原始内容存档 (PDF)于2007-06-16）. ^ Final Rule Designating the Northern Rocky Mountain Population of Gray Wolf as a Distinct Population Segment and Removing This Distinct Population Segment From the Federal List of Endangered and Threatened Wildlife. U.S. Fish and Wildlife Service. 2008-02-27 [2008-06-11]. （原始内容存档于2009-01-21）. ^ Mott, Maryann. Bald Eagle, Grizzly: U.S. Icons Endangered No More?. National Geographic News. 2004-07-02 [2013-05-26]. （原始内容存档于2006-12-10）. 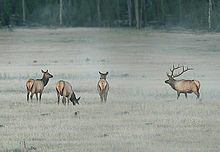 ^ 2006–2007 Winter Count of Northern Yellowstone Elk. National Park Service. 2007-01-16 [2013-05-27]. （原始内容存档于2007-05-20）. ^ Potter, Tiffany. Lynx - Yellowstone National Park. Nature: Year in Review. National Park Service. [2013-05-23]. （原始内容存档于2013-05-16）. ^ Mountain Lions. National Park Service. 2006-07-26 [2013-05-27]. （原始内容存档于2007-09-03）. ^ Marquis, Amy Leinbach. Out of Sight, Out of Mind. National Parks (National Parks Conservation Association). 2006, 80 (3): 20–21. ^ 92.0 92.1 Fishing in Yellowstone National Park. National Park Service. 2007-04-04 [2013-05-27]. （原始内容存档于2013-11-09）. ^ The Yellowstone Lake Crisis: Confronting a Lake Trout Invasion (PDF). National Park Service. 1995 [2013-05-27]. （原始内容存档 (PDF)于2007-06-12）. ^ Kendall, W. C. The Fishes of the Yellowstone National Park. Washington D.C.: Department of Commerce, Bureau of Fisheries. 1915: 22–23. ^ Vital Habitats: Wetlands and Wildlife (PDF). National Park Service. [2013-05-27]. （原始内容存档 (PDF)于2007-06-16）. ^ Threatened and Endangered Species. National Park Service. 2006-07-26 [2013-05-27]. （原始内容存档于2007-10-13）. ^ Species of Special Concern. National Park Service. 2006-07-28 [2013-05-27]. （原始内容存档于2007-10-13）. ^ 98.0 98.1 Fire Ecology. Yellowstone Wildland Fire. National Park Service. 2006-10-25 [2013-05-27]. ^ Yellowstone Lookouts. Yellowstone Wildland Fire. National Park Service. 2006-10-25 [2013-05-27]. ^ Fire Facts. Yellowstone Wildland Fire. National Park Service. 2006-10-25 [2013-05-27]. （原始内容存档于2007-04-25）. ^ Fire Monitoring. Yellowstone Wildland Fire. National Park Service. 2006-10-25 [2013-05-27]. （原始内容存档于2007-02-06）. ^ Prescribed Fire. 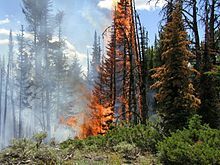 Yellowstone Wildland Fire. National Park Service. 2006-10-25 [2013-05-27]. （原始内容存档于2007-06-10）. ^ 103.0 103.1 Weather. National Park Service. 2006-12-20 [2013-12-01]. （原始内容存档于2013-10-30）. ^ Severe Weather. Wyoming Climate Office. 2007-03-14 [2008-05-14]. （原始内容存档于2008-05-14）. ^ Monthly Averages for Yellowstone Lake, Wyoming. The Weather Channel. [2013-12-01]. （原始内容存档于2013-12-01）. ^ Historical Annual Visitation Statistics. Yellowstone National Park. U.S. Department of the Interior. 2006-08-10 [2009-12-03]. （原始内容存档于2009-12-03）. ^ Cool Yellowstone becoming hotter vacation spot. CNN Travel. 2010-08-04 [2013-12-01]. （原始内容存档于2010-09-19）. ^ Road Construction Delays and Closures. National Park Service. 2007-04-09 [2013-12-01]. （原始内容存档于2013-11-09）. ^ Operating Hours & Seasons. National Park Service. 2007-04-22 [2013-12-01]. （原始内容存档于2013-09-15）. ^ Winter Services in Yellowstone. National Park Service. [2013-12-01]. （原始内容存档于2013-11-09）. ^ Hiking in the Park. National Park Service. 2006-08-17 [2013-05-27]. （原始内容存档于2007-04-03）. ^ Regulations Regarding Pets. National Park Service. 2006-07-12 [2013-12-01]. （原始内容存档于2013-09-23）. ^ Information Every Visitor Needs to Know. National Park Service. 2007-03-06 [2013-12-01]. （原始内容存档于2013-09-23）. ^ Fishing in Yellowstone National Park. National Park Service. 2007-04-04 [2013-12-01]. （原始内容存档于2013-11-09）. ^ Fishing Season Dates and Fishing Regulations. Yellowstone National Park. [2013-12-01]. （原始内容存档于2013-11-09）. ^ Boating in Yellowstone National Park. National Park Service. 2006-09-18 [2013-12-01]. （原始内容存档于2013-11-09）. ^ Bears, A Yellowstone Love Story. National Park Service. [2011-02-05]. （原始内容存档于2011-02-05）. ^ Directions. National Park Service. 2007-01-04 [2013-12-01]. （原始内容存档于2013-09-23）. ^ The perfect place for the perfect crime. trib.com. [2013-12-01]. （原始内容存档于2012-02-17）.